The word is former champions Andre Berto and Devon Alexander will clash as chief support to the July 28 lightweight unification battle between Mikey Garcia and Robert Easter Jnr. ESPN.com reports the news. Berto, 31-5(24) once tipped for greatness, has not boxed since back in April of last year, when he was roughed up and stopped by Shawn Porter. Alexander, 27-4-1(14) last fought in February, when he seemed unfortunate to get handed a draw at the conclusion of his fight with Victor Ortiz. Which former champ has the most left at this stage? Alexander, the former WBC and IBF 140 pound champ who moved up to win the IBF welterweight title with a win over Randall Bailey in 2012, has never been stopped, whereas Berto, the former WBC and IBF welterweight champ, has been stopped on two occasions. Berto, who turns 35 in September, has also been involved in a number of punishing wars. Alexander, a slicker than slick southpaw in his day, has youth on his side (by comparison) at age 31, he has far less wear and tear on his body and he has been more active. But Berto has the edge in power. It’s an interesting match-up and as a supporting feature Berto-Alexander is a pretty solid fight. Providing he doesn’t get caught by anything big, Alexander should be able to outbox Berto on his way to a reasonably comfortable and wide unanimous decision win. The winner of this one could possible get himself one more big fight, whereas the loser will almost certainly have nowhere to go except into retirement. Both men have all the experience in the world and both have faced plenty of top names – among them, Floyd Mayweather, Marcos Maidana, Amir Khan and Tim Bradley – but it’s possible both veterans will be boxing largely from memory come July 28. It can be quite sad seeing two past it former champs attempting to carry on, but at the same time, with their very careers on the line, Alexander and Berto might reach back and give us one big effort. And a good fight. 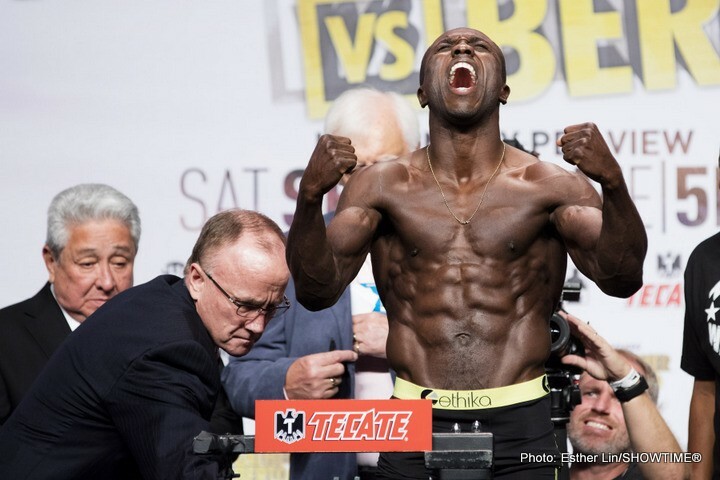 You are here: Home / Boxing News / Andre Berto-Devon Alexander: Who Wins?